Highland On-The-Go Zip Up Pet Bowl - $4/1 Or $6/2 - Ships FREE! You are here: Home / Great Deals / Highland On-The-Go Zip Up Pet Bowl – $4/1 Or $6/2 – Ships FREE! Highland On-The-Go Zip Up Pet Bowl – $4/1 Or $6/2 – Ships FREE! A great product for pet parents on the go with their pet. Never again be stuck without a container for food or water. The Highland On-The-Go Zip Up Pet Bowl – $4/1 Or $6/2 – with FREE Shipping quickly unzips to reveal a full size waterproof bowl that can be used for food or water. 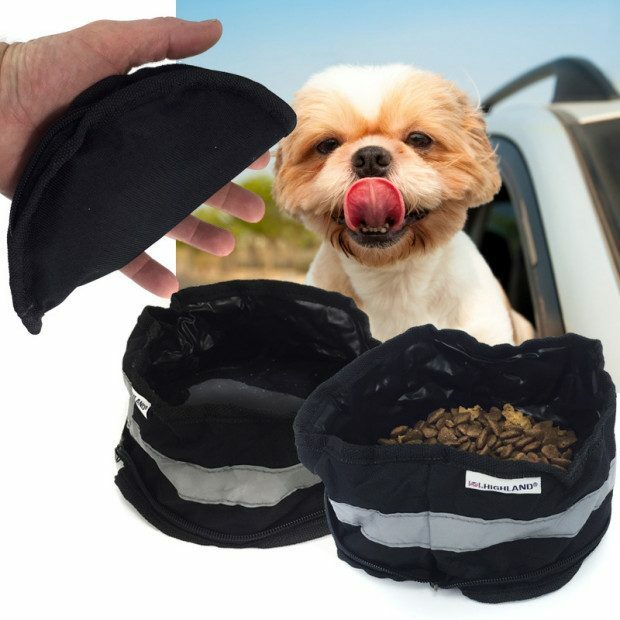 Simply wipe clean, re-zip and store for use on the next road trip with your pet!